Prosper Enongene is a worshipper of the Almighty GOD. He is multi-gifted and multi-talented. He is a business man, entrepreneur, Investment Adviser and a wealth creation Minister. He is a street evangelist, prayer warrior and a kingdom builder. He currently serves at Zion Covenant Ministries. He lives in Houston TX with his wife and son. Wisdom keys to becoming your own boss and strategies to generational wealth are revealed in this book. 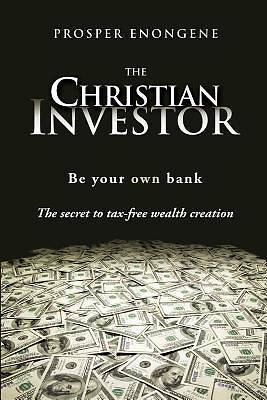 The Christian Investor also reveals that one's employer can't pay enough to bring financial freedom; you can't be richer than the employer. You will learn how to enable money to work for you while you work for God. Pastor Bridget Israel, Zion Covenant Ministries Houston, TX 97% of the world population has been socialized to work only for money instead of having money working for them. The author, Prosper Enongene for The Christian Investor has provided valuable information to the Christian community and non-Christian community to enable us to break the trend of systematic poverty and to usher us into a new realm of divine prosperity. DR .Honorable Phillip S Phinn ITWLA Chief Ambassador to the United Nations. Kingston, Jamaica The "The Christian Investor will: Teach you how money works. As well as reveal to you the God of wealth; Show you how little becomes much when you place it in the hand of God; Show you how to retire when you choose to; Educate you on how to get tax-free investments and tax-free money; Help you know your God-given potentials for wealth creation .Free you from 21st c Taskmasters; Teach you how to fulfill proverb 13:22(Generational wealth) and Teach Churches, Schools, universities, Hospitals, organizations how to never run out of money.